Cepstral Community • View topic - Access the TTS Engine with C# and .NET? Cepstral is new to me. I'm attempting to add a speaking voice using Cepstral to my AI Reasoning Engine and struggling to find any documentation about working with the SwiftTTSEngine component using C# within the Microsoft .NET 4.5 environment, the support objects and calls and events basically. Really appreciated, thanks for taking the time to read this. Re: Access the TTS Engine with C# and .NET? 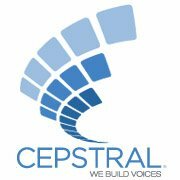 Cepstral has a C interface API, but nothing for C#. You could try incorporating the C stuff or you could try using Microsoft's SAPI, but I am not sure you can get the event information doing that. Are either of those options viable?